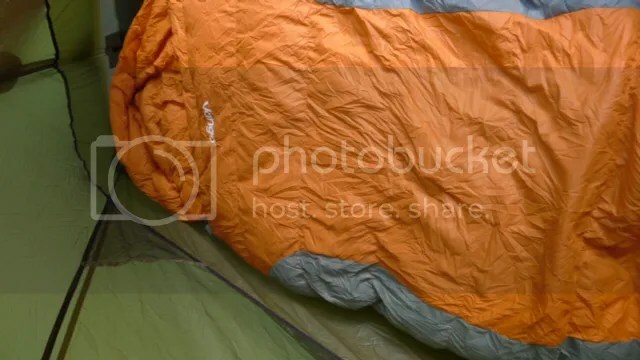 I have been using he same sleeping bags pretty much for the past few years so when the opportunity to try something a wee bit different came along I jumped on it ! It can be too easy to loose track of whats going on with kit if your view is brand/model blinkered. Vango go way back in camping history and as a bonus they are not only a Scottish company but a local company to Glasgow (Vango is Govan backwards). 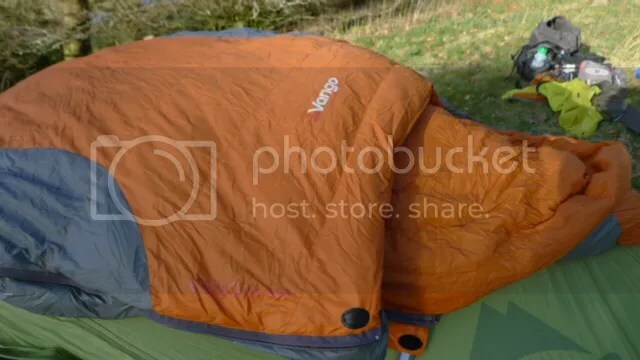 Also Vango always tends to be associated with cheap festival stuff or the old orange canvas Force 10. If we open our eyes we will see that there is a technical accomplished brand still pushing techy kit. The Venom 400 is a great wee bit of kit ! Apart from the obvious great colour choice of Orange, the bag feels and looks the part. I used this at the start of spring for some low level expeditions and in my mind the rating is spot on. Although I am not sure how many clothes you would have to wear to go down to -20 at the extreme end ! At about 0 degrees C is does start to get a bit chilly. The 700 fill down compacts down nicely into the roll top dry bag supplied and also lofts nicely when laid out in the tent. The Toe box and leg area first feels a bit narrow but after a while you get used to it and it helps to retain a bit of heat. Bag length is 2m 10 so will fit people happily up to 1 m 90, after that you might be a bit tight. A bit of detailing on the zip stops the material jamming in the zip so much,avoiding that agony of trying to get out your bag in the morning for a pee and getting stuck in your bag as you can’t get the zip undone. Different coloured cord for the drawstrings on the baffle and the hood is also a nice wee touch just to make your life easier. Retail on this is approx £170 which is not to be flinched at but Silverfox Travel have it in the sale for a bargain price of £140. It also has the DofE Recommended stamp.